Ghost is a new open source blogging platform which is developed solely for blogging purpose. Ghost is developed using Node.js, which makes it fast, scalable and efficient. You can easily publish your blog using Ghost as it uses Markdown syntax in editor unlike the other CMS which uses WYSIWYG editor. It lets you see how your blog will look like on live site while you are writing the blog. It is very easy to migrate from Wordpress, Joomla or other content management system. Ghost is only focused on blogging, not for creating complex websites or ecommerce sites. Themes which are designed for Ghost are also focused on blogging only. Currently there are thousands of website running Ghosts as it is a very popular blogging platform due to its simplicity. In this tutorial you will learn how to install Ghost on a CentOS 7.x server. We will also learn to setup the environment required for installing and managing Ghost, which includes the setup of Node.js, PM2 and nginx. Ghost does not require any special hardware requirements as it is a lightweight web application. 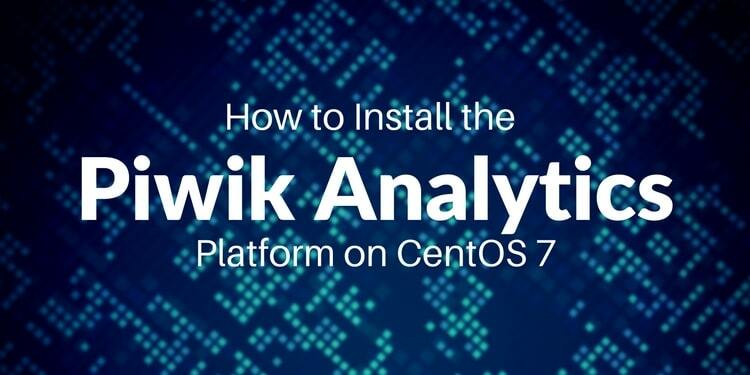 You will only need a CentOS 7.x server with root or sudo access on it. In this tutorial we will use root user account to execute the commands, if you are logged in as non root user, run sudo -i command to switch to root user or you can add sudo command at the start of all the administrative commands. Before installing any package in our system it is recommended to update the system and packages. Run the following command for same. Once all the packages are updated, you will need to install Node.js in your system, we can install Node.js using many methods, but in this tutorial we will install Node.js using NodeSource Binary Distributions Repository. Ghost only supports LTS version of Node.js, which are 0.12. *, &gt;=4.2 =6.9 =4.2 &lt;5.*. To install Node.js version 4.x LTS, you will need to add NodeSource repository in your system, run the following command for same. ## Run `yum install -y nodejs` (as root) to install Node.js v4.x LTS Argon and npm. Now you can install Node.js using the following command. The above command will install any supported Node.js 4.x LTS version. You can check the version of Node.js using the following command. You will see the version of the Node.js. When installing Node.js, NPM or Node Package Manager is automatically installed. You can verify its installation by running the following command. Now that we have Node.js installed, we can proceed with the installation of Ghost. To download the latest version Ghost run the following command. The above command will create a directory to install Ghost in it. Then after moving into newly created directory, it will download the latest version of Ghost. If you don't have wget installed you can run yum -y install wget to install it. Now unzip the compressed file into ghost directory using the following command. Now move into the new ghost directory and install Ghost using the following commands. The above command will install production dependencies only. If you don't include --production attribute during install, it will only install some extra dependencies, which are only required for development of the Ghost core. Installation of Ghost is now finished. Before you can start Ghost blog, you will need to make a small change in Configuration to allow everyone to connect to the web server. By default Ghost listens to port number 2368 and can only be accessed through localhost. To allow everyone to access Ghost on port 2368, edit the configuration file using your favorite editor. In this tutorial we will be using nano editor. If you do not have nano installed, you can install it using yum -y install nano. In production block find host: '127.0.0.1',. Change the host to host: '0.0.0.0',. Save and exit from editor. Now you can start your Ghost blog, run the following command. Now use your favorite browser to access your Ghost blog on the following web address. Replace your-server-ip with the IP address of your server. You should see following screen. To create your administrative account go to the following web address. You will be greeted by a welcome screen, click on Create new account button. You will be now taken to a new interface where you need to provide your Name, email address, password and name of the Blog. Finally click on the button saying Last Step: Invite your team. You can use this interface to invite your team members to your new blog, or you can click on I'll do this later, take me to my blog link. You will be now taken to the administrative dashboard of your Ghost Blog. You can use this interface to manage your Blog and to add new posts in it. When running Ghost on server, whenever the terminal session is ended, Ghost is also stopped. We can keep Ghost running with many different methods like PM2, forever or init script. In this tutorial we will learn about running Ghost with PM2. PM2 is a advanced, production process manager for Node.js. PM2 helps running Ghost indefinitely until you do not stop it manually. Installation and setup of PM2 is very easy. Run the following command to install PM2. Once PM2 is installed, run the following command to change the environment variables so that Ghost always starts in production mode. Now start the process using the following command. Once you execute the above command, you will see following output. To get more details about the running Ghost process, run the following command. Now you will need to create the startup script so that whenever the server restarts, PM2 also restarts along with the process it is running. Run the following commands for the same. pm2 save command saves the the current process list in a file. You will the following output. To check the current status of PM2, you can run the following command. To stop Ghost process, run the following command. You can now use the following command to restart the Ghost process. To check the logs of PM2, run the following command. 0|ghost    | Help and documentation can be found at http://support.ghost.org/mail. 0|ghost    | WARNING: Ghost is attempting to use a direct method to send email. 0|ghost    | It is recommended that you explicitly configure an email service. By default Ghost runs on port 2368, we can use nginx to run Ghost on port number 80on which normal HTTP request listen to. We will configure Nginx to proxy all the requests for port 80 to 2368. Finally when we will have our blog running on port 80 we will disable its accessibility on 2368 for security purposes. To install nginx, run the following commands. As we have nginx ready we will now create a virtual host or server block file to forward all the request from port 80 to port 2368. Create a new configuration file in /etc/nginx/conf.d/ directory. To use nginx virtual host you must have a domain name configured and pointing towards your server. To create a new configuration file, run the following command. In above command replace your-domain.com with your actual domain name. Paste the following lines in the file. Change your-domain.com with your actual domain. Save the file and exit from editor. You will also need to adjust your SELinux configuration to allow network connections. Run the following command for same. Now you can start your nginx server using the following command. To enable nginx to start automatically at boot time, run the following command. You can now access the domain name in your favorite web browser to browse the website. As we have access to our website through port 80, we can disable port 2368 for everyone else except the localhost. To make this configuration simply edit the configuration file of Ghost using the following command. Revert the change which we made during the start of the tutorial. In production block find host: '0.0.0.0',. Change the host to host: '127.0.0.1',. Save and exit from editor. 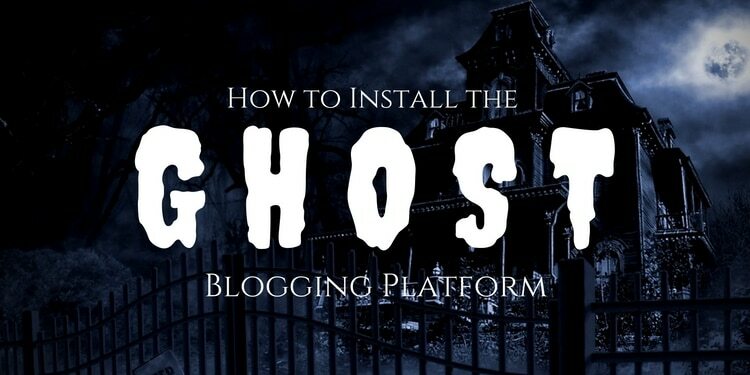 In this tutorial we have successfully installed Ghost Blogging system on our CentOS VPS. We also learnt about the process management by PM2. You can now successfully deploy Ghost Blogging system along with Node.js, PM2 and nginx to set up a lightweight but powerful professional blog.